← You’ve Got to be Kitten? 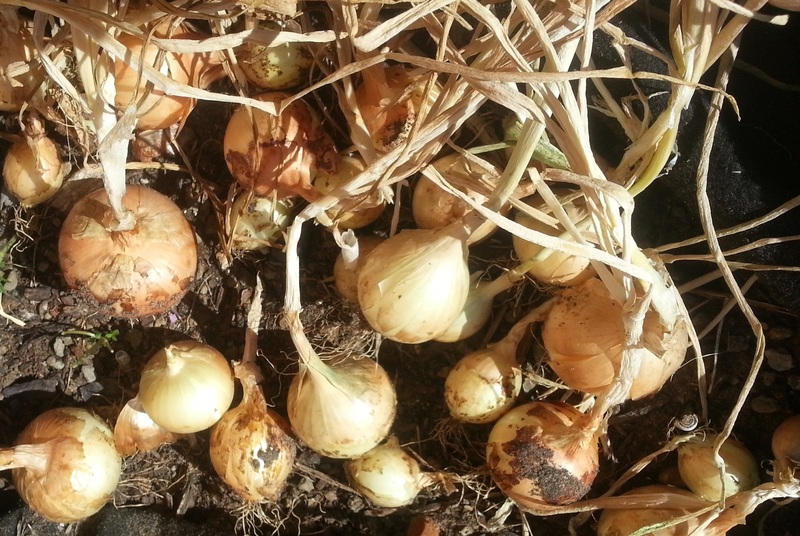 The trick to growing bulb onions is the depth of the planting. 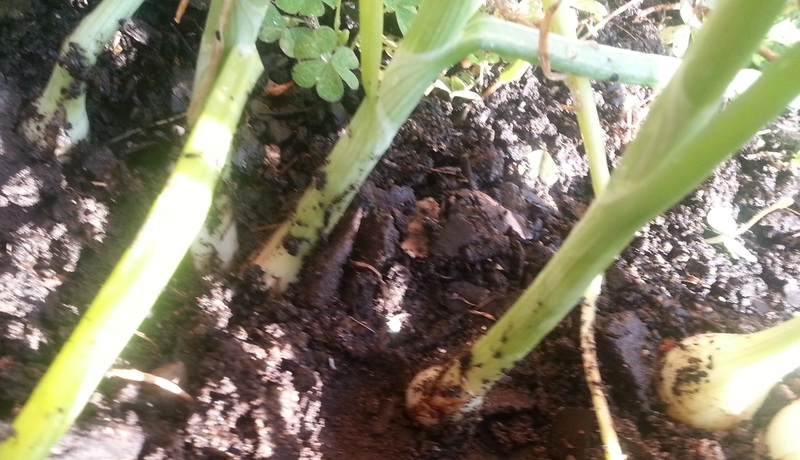 If the little white part at the bottom is above the ground where it gets lots of sun, the plant will produce a bulb. If that white part is covered with dirt, the plant will produce skinny greens. Both are delicious. 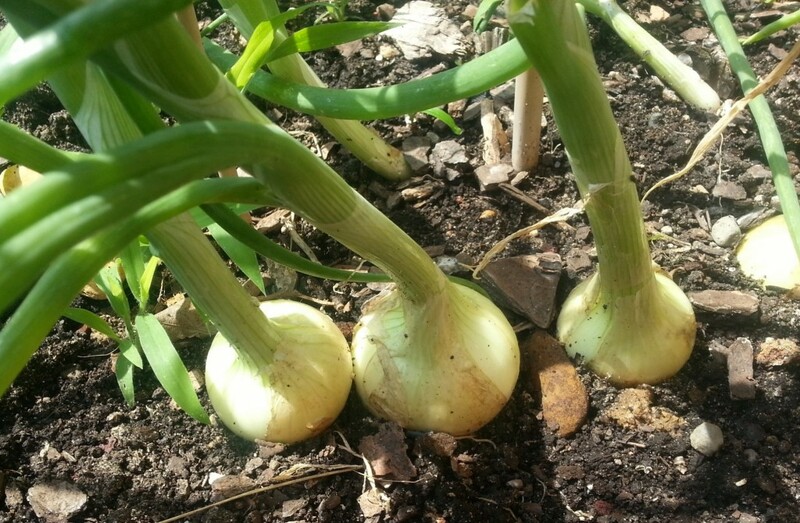 Another great way to start bulb onions is to use seed bulbs to start rather than the bundled up shoots. We planted both this year. We planted a million of the shoots. OK, maybe not a million. We have lots of green onions. The seed bulbs are usually about the size of a nickel, maybe a little bigger. And they are sooooo easy to plant. Push them onto the top of the soil. That’s it. No digging. You don’t even get dirt on your fingers. That’s how shallow you plant them. Space them several inches apart to give them room to grow. Onions love water, so keep them moist. Soon the greens will grow. Soon after that the tiny bulbs will start to get a bit bigger. You may have to pull some of the dirt away from the base. The greens will get tall. And the garden will smell yummy. Clear away dirt from the edges of the new bulbs. Then the greens will start to fall over and whither. It’s time to harvest those. Put them in the sun for a couple of days to “cure”–the greens will dry out and the outer skins will protect the fresh onion moistness inside. The bulbs are ready for storage. 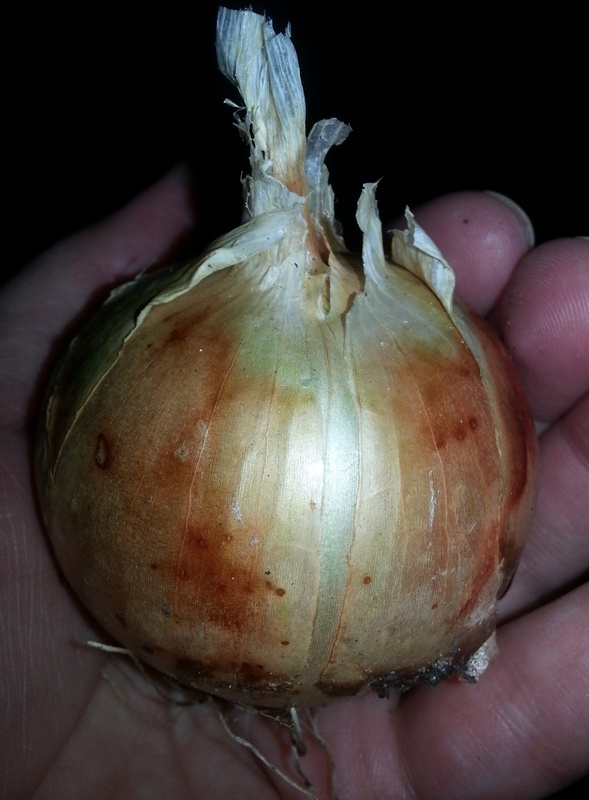 You can store fresh onions for months in a cool, dry place, especially if they cured properly. 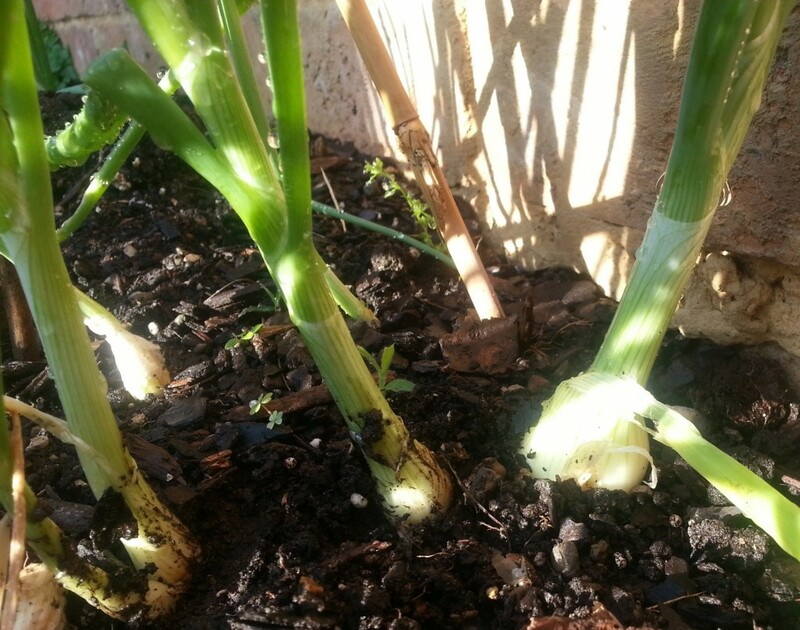 If the tops didn’t seal up where the greens sprouted and withered, use those onions right away. The hole in the top is not conducive to long-term storage. What’s in your garden? Or, do you harvest from the produce section?